This picture reminds me that there are so many beautiful things in God’s creation that I never notice. Mostly, it is due to my not seeing what is there. Other times, it is because I fail to give glory and thanks to God for what he has done. Thus, I miss all the marvelous things that he is doing. This picture was not due to some computer manipulation by me. Instead, it occurred by a fortunate accident when the wind came up and disturbed the picture that I wanted. The following picture is the one I intended of a spiderweb. Oh, how thankful I am that God brings the wind to give us more than we knew existed. 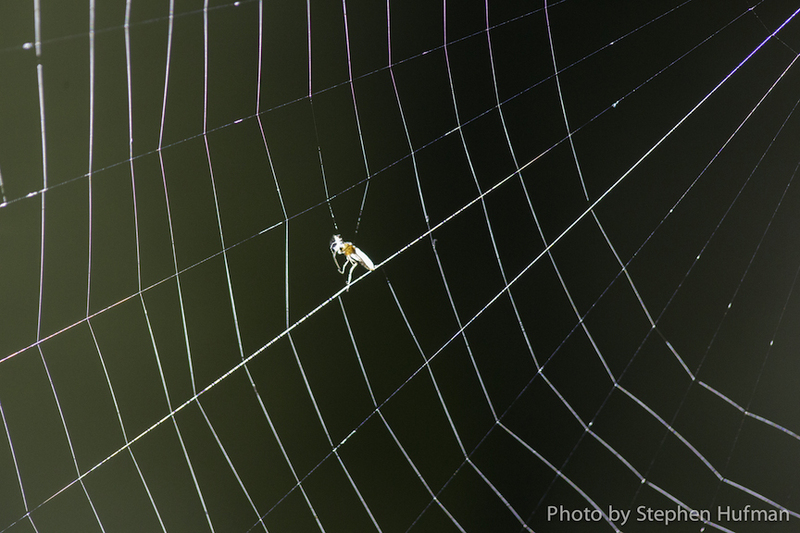 This entry was posted in Photography and tagged adversity, nature photography, Romans 1:20-21, seeing, spiderweb, wind by Stephen Hufman. Bookmark the permalink. 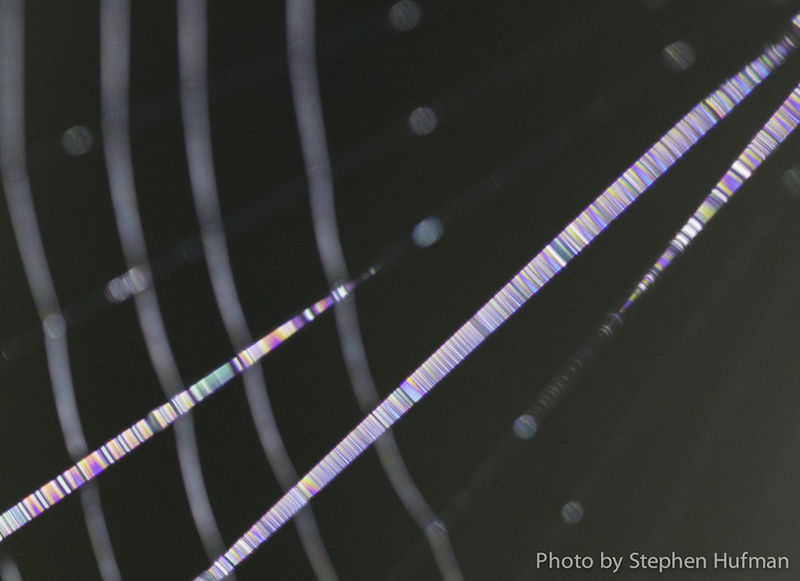 Thanks for showing us the colorful details even in a web of God’s creation! I needed to be reminded how God can turn an “accident” into something wonderful. Truly God’s creation is full of surprises. this is so amazingly cool Stephen!